"It’s all about the kids!" Children learn about personal and pedestrian safety along with a tutorial about using 9-1-1 and safe stranger training. Once the classroom portion of the session is completed, students walk around the Village to practise their pedestrian safety skills. This program runs from January until the end of March. The classes are 60 minutes in length and normally run three times a day. **PLEASE NOTE - YOU CAN ONLY BOOK ONE CLASS PER SESSION - ADD ONE BOOKING TO YOUR CART, COMPLETE THE REGISTRATION PROCESS, AND RETURN TO THE CALENDAR TO BOOK ANOTHER SESSION** If you are booking several classes please use the actual teachers' names as the registrants for those classes. 9:45 a.m. to 10:45 a.m.
12:45 p.m. to 1:45 p.m.
Companies, businesses and individuals can donate by using their credit card or PayPal. Please help if you can. The Kids’ Safety Village is a registered charity. If you require a tax receipt for your generous donation, email us your name and address with the subject line “Tax Receipt”. 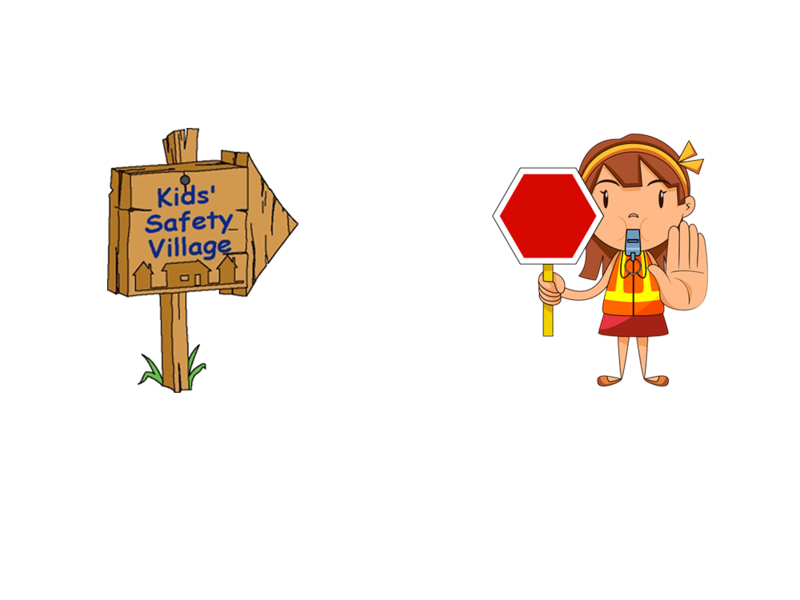 The Kids Safety Village of Durham Region is committed to providing quality progressive safety programs, in a positive and interactive atmosphere, through community partnerships, to protect our most valuable resource … our children.